The first two nights will be based out of the Waynesville Inn so if you are planning on staying the extra days, extend your reservations for Oct 14 and 15 at the Waynesville Inn. 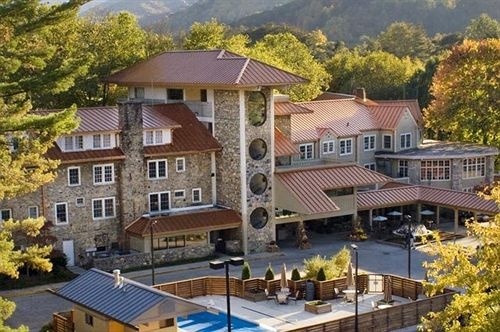 For Oct 16 make reservations at the Tapoco Lodge outside Robbinsville NC (about one hour from I-75). Phone (828) 498-2800. Both single and double bedroom cabins and regular rooms are available. Mention the 190SL Group. Downtown Waynesville is a vibrant, friendly small town nestled in the Great Smo ky Mountains National Park with magnificent mountain views of the Blue Ridge Parkway. Fine shops, galleries, cafés & restaurants are all within walking distance of Main Street's tree lined brick sidewalks. Historic buildings, relaxing benches, public art & welcoming folks make Waynesville a thoroughly enjoyable place to live & visit. Numerous popular events, parades & festivals occur throughout the year. The heart of Appalachian culture and heritage, Waynesville hosts Folkmoot USA, North Carolina's official international music and dance festival annually. Waynesville is home to Haywood Arts Regional Theatre, an award winning theater, and The Museum of North Carolina Handicrafts at the historic Shelton House, Historic Inns and B&Bs, Mast General Store, The Strand Theater, book store, bakeries, markets, chocolate shop, brew pubs, fly fishing shop, dog bakery, quilt store, flower shop, clothing, shoes & boots, hair & nails, jewelry, antiques, furniture & accessories, service-based businesses, mountain trout, mountain golf, mountain music & dance, clean air, clean water, cool summers, dramatic autumns, mild winters, lush Spring times, and Southern hospitality. 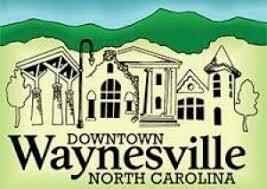 Waynesville is the largest town in Western North Carolina west of Asheville.